This dry and effervescent Champagne-style beer has notes of gooseberry, orange peel and Chardonnay grapes. Lightly hopped with Hallertau Blanc, Saphir and Mosaic hops and fermented with a Chardonnay white wine yeast, this beer is a must at any special occasion or celebration. 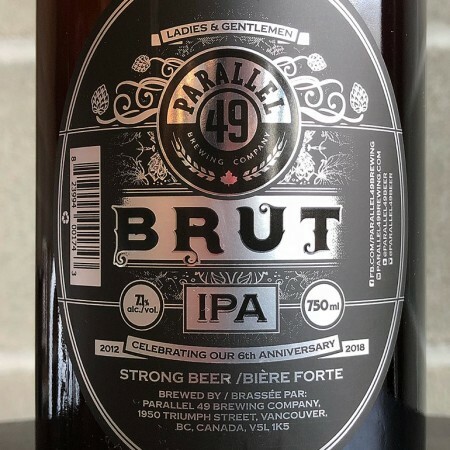 Brut IPA is available now in 750 ml cork-and-cage bottles at Parallel 49 and select liquor stores in British Columbia while supplies last.